Hope you can join us for this year's Winter Walk! 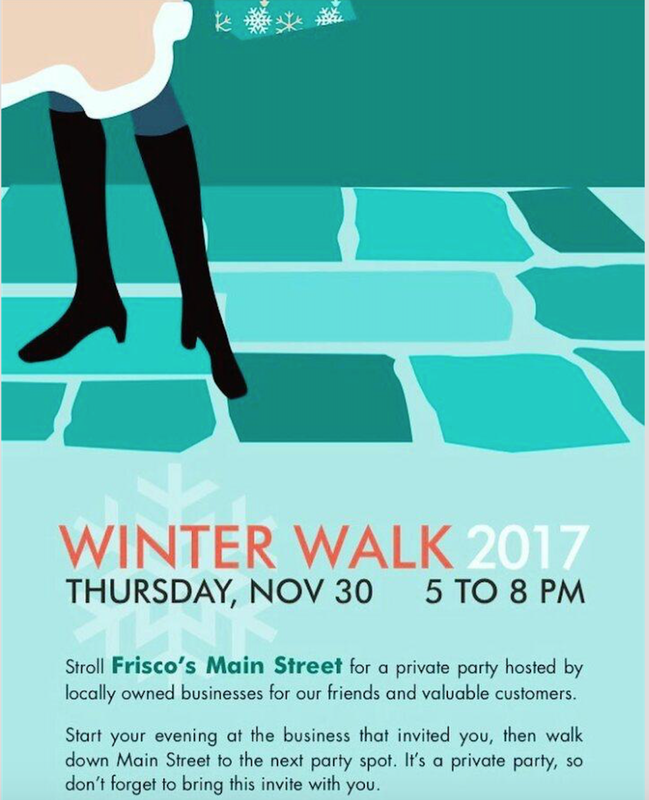 It's hard to believe that it's that time of year again, but sure enough, it's almost time for one of our favorite events of the year--Frisco's Winter Walk! The Winter Walk is the kick-off for Wassail Days, so we'll have plenty of wassail, along with other beverages and tasty food! On Friday, December 2, from 5 to 9 pm, businesses on Frisco Main Street stay open late and invite you to come in and socialize, eat, drink and be merry! Come be a part of this special night, and as you meander up and down the street, make sure to stop by and see us! Have a drink and some treats, mingle and check out what's new in the shop. This event is free, and one invitation gets you into all of the participating shops. We'll have paper copies at our shop soon. Or, just print this one off, or pull it up on your mobile device. It's that time of year again! 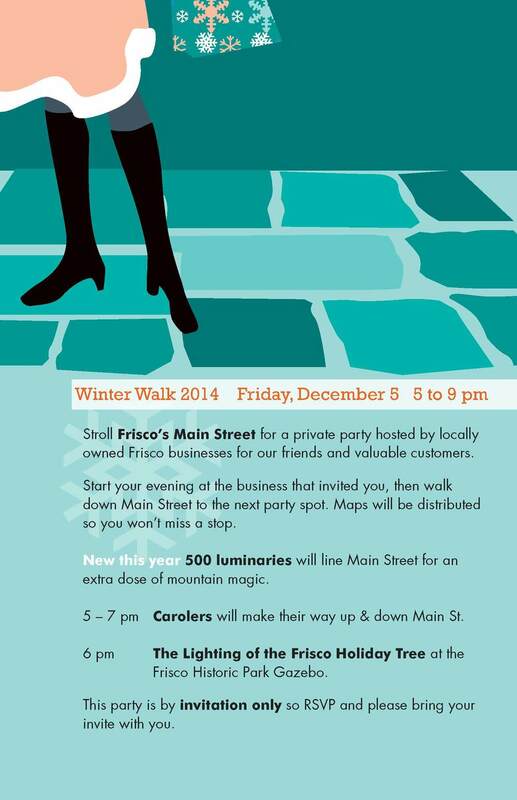 Come kick off Wassail Days and the holiday season on Frisco Main Street with one of the biggest events of the year--the Winter Walk! We're personally also celebrating our first year in business as owners of Frisco Fun & Formal, and we'll be going big with food, drinks and special sales in the store. It's been a fabulous year and we're excited to celebrate with the people who make it possible to have a shop in the first place--our awesome customers! Since it's after hours and alcohol will be served at some locations, this event is a private party and you need to be invited. The good news is, you're invited! You can pick up a paper copy of the invitation at any participating business, print one off, or display it on your mobile device. Come enjoy a festive night of food, friends and fun in Frisco, and come see us at 299 Main Street, on the corner of 3rd Avenue and Main. Hope to see you there! At long last, spring is FINALLY here! Heck, it's almost summer now, which means the snow is (hopefully) over with and we can break out the flip flops and shorts! Several businesses on Main Street Frisco will be open late on Friday, June 12 and you're invited! So come stroll around, say hello to old friends and see what's new in our local shops, and say hello to old friends. At Frisco Fun & Formal, we'll be serving up some crackers and cheese, beverages and samples of some of the food we sell here in the shop--which are all made in Colorado!